14 Tips for Really Rural Businesses | Entrepreneur Mom | Work It, Mom! 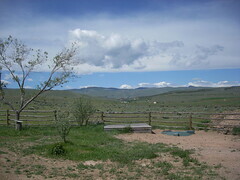 I’ve worked in many rural areas including Lander, Wyoming (Pop: 7800) where if the wind blew just a little too hard, my Internet connection went down - and you know how the wind blows in Wyoming! I’ve even worked from an old RV on the road, in state parks and at other campgrounds. And soon, I’ll be working from my new home in Tok, Alaska (Pop: 1800) along the Alaska Highway. Here are some of my tips for working from remote and rural areas. I also turned to a Twitterfriend, Becky McCray, who provides some additional tips. I’ll introduce her after the jump. 1. Invest in fast Internet access. Sometimes it has to be satellite which can be pricey, but you can write it off your taxes as a valid and essential business expense. 2. Identify wifi hotspots - or Internet-enabled locations - in your area. If my Internet connection went down, I’d drive into town to connect at a cafe or restaurant or even a hotel or campground. Some McDonalds and Wendys even offer wifi so find out which businesses are wired and use them as backup when your access goes down. 4. Sign up for shipping accounts. FEDEX, UPS, DHL - they all claim to reach from every door to door. Find out which ones offer the most reliable pick up and shipping services and take advantage of their services to save yourself time and the cost of gas driving to town to ship things. 5. Join online forums or social networks. Isolation can be hard when you’re living in a rural area and your nearest neighbor is miles away. Stay connected with peers by joining social networks relevant to your industry or other professional networks where you can get answers to business questions, hear about the latest trends or just have contact with other people. I asked Becky McCray, a rural small business expert, for some of her tips for very rural small businesses. Becky blogs at Small Biz Survival. She is also a small town entrepreneur, the co-owner of a liquor store and cattle ranch. She writes about small business and rural issues based on her own successes and failures. As a consultant, she helps small businesses and small town governments to get things funded and get things done. 6. Don’t forget the library for wifi or public internet access. 8. Take advantage of online resources, like Inc.com, Entrepreneur.com, or WillItFly.com. 9. Take advantage of small town friendliness to find your local support services. For example, who will receive a package for you? Besides the office supply, where can you make a quick photocopy? In my town, you could try the library, the post office, or the bank. Think about what services you are likely to need, before you need them. 10. Be sure you track your mileage every time you drive somewhere for business. That trip to the state capital or county seat to file some obscure form? Deductible. 11. Consider your business insurance coverage. Rates can be cheaper in rural areas, so don’t just ignore it. Especially consider general liability to protect you from many different risks and equipment coverage to replace any business equipment, because home owner’s insurance typically won’t cover it. 12. Check for small business services at your local schools, including junior colleges and technical schools. Even in small towns, many have an economic development person, a business incubator, or a business support service. You may be able to access wifi, equipment, basic services, a conference room or even high quality video conferencing at low or no cost. 13. Have local utilities or cooperatives? Ask what business services or consulting they provide. You might be surprised! 14. Join relevant trade associations. Extra connections within your industry can help you network and improve your skills. You may be rural and remote, but you are not alone! Are you doing business from rural and remote places? How do you stay connected, save time, save money, and not just survive but thrive? I recommend buying everything with a airline mileage-pegged rewards card. That way, you have a stash of miles to use on short-notice when you want to network with other far-flung businesspeople. Sometimes it’s a conference. Sometimes it’s a client. Sometimes it’s to get family members out of the house! In Alaska, I w-a-a-y prefer their BofA co-branded mileage card, because it comes with a $50 companion fare. But if you live in rural Alabama (like my in-laws), you’re better off to go with DL’s SkyMiles Amex card. Plus, that works at Costco. Part of being out-in-the-stix, IMHO, is your nimble ability to go “urban” at a moment’s notice when your business demands it. Those miles come in real handy. Being a localvore and staunch environmentalist, and living in a small rural community, there are more challenges if one doesn’t want to add fuel miles to many daily business acitivities. How about a solar charger for the laptop at least part of the year? Combined chores on each and every trip including via airlines. The era of cheap oil is soon over, and better to rethink activities and tools required now. Another trend is the realization that local economies must become stronger in order to survive, and that includes local food sources. Lots of online resources dealing with that issue. Time are changing very fast.